One of the most popular destinations in the United States is New York City. Our family will be making its first trip to the Big Apple in August 2015, and we have plenty of information to share if you plan on going soon. We have spent almost 30 hours researching what each of the 5 burrows has to offer. However, part of this research was finding the best hotel and car rental deals, as well as building an itinerary designed pack everything into the 3 days we will be in NYC. This is something the Mrs. just found a couple nights ago, and it’s definitely on our list of things to do in New York City. Since our hotel is situated in the upper east side of Manhattan, we are not far away from this little tourist attraction. 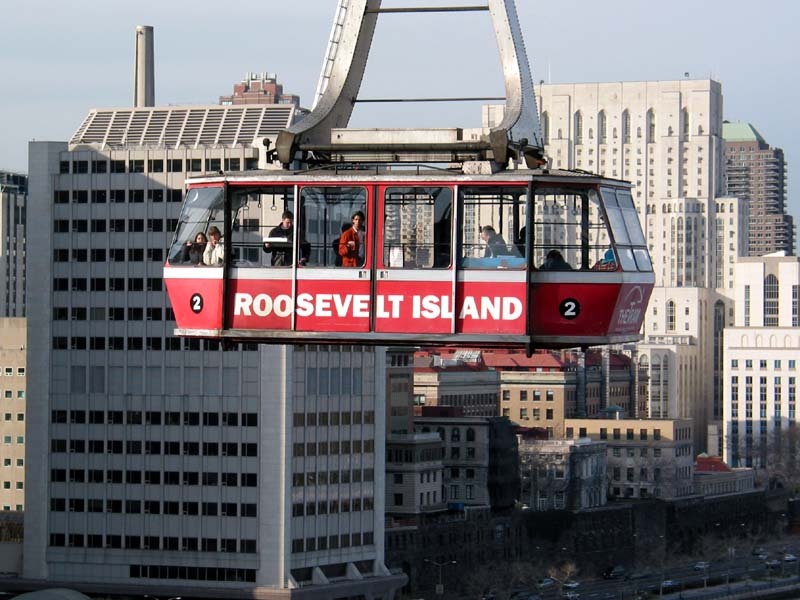 Our research revealed that the cost for this aerial trip to Roosevelt Island is $2.75 per person. Once you are on the island, you can hop on the bus (for free) and see everything the island has to offer. Based on what we’ve read, the ride is all of about 5 minutes, but it’s the perfect amount of time to see New York City from the air, without spending an excessive amount of money renting a 30 minute helicopter tour. 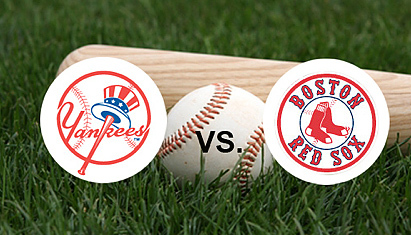 When sports fans are asked about the biggest rivalries in any sport, the New York Yankees vs. Boston Red Sox matchup is always at the top of the list. Since our son is a huge Yankees fan and hasn’t ever seen them play, the time we took our trip to New York City depended on when the Red Sox came to town. Since we will all be experiencing Yankees Stadium for the first time, there is no sense in purchasing $500 worth of tickets. It’s going to be an exciting event regardless, so we purchased some bleacher seats for $150 all-in. Keep in mind; we purchased them 4 months in advance, which helped with the cost. We all have to eat, and even if you are not a big fan of Italian food, this is a must see restaurant. Our research told us that it’s the place Frank Sinatra used to go for several decades. 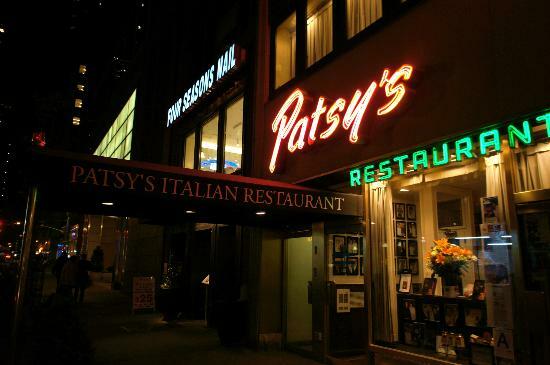 Apparently at one point, Patsies renovated the restaurant back to what it looked like in those days, so you can experience what he experienced. Those are just a few things that caught our attention, outside of everything else we will be seeing. We are seriously considering the helicopter tour, just because the experience of flying around the Statue of Liberty has to be breath-taking. Add in other places like; Central Park, the High Line (a walkway 30 feet above street level), trying to get tickets to the Jimmy Fallon Show, the Nike Store, little Italy, the Empire State Building, and the 9/11 World Trade Center Memorial; we are going to be busy, but the experience will be one for the ages. Being one of the most popular countries to visit in Southeast Asia, Thailand draws in more than 26 million visitors each year just in the capital alone. 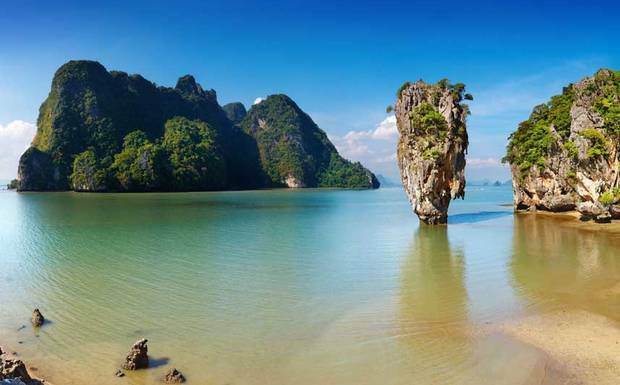 From the picturesque beaches in the south to the lush green mountains in north and everything in between, Thailand truly has something to offer any type of traveler. Thailand has three major regions that tend to draw in the most crowds, each one extremely different than the other. Depending on your interests and the amount of time you have in the country will draw you to certain areas. Just be careful though, Thailand has been known to turn two-week vacations into yearlong stays. With the majority of people flying in through Bangkok, chances are you will end up there for at least a few days, if not the entire trip. Filled with clubs, rooftop bars, floating markets and high-class malls, your time here is sure to be anything but boring. With an excellent transportation system it makes it extremely easy to get around the city either by sky train, bus or taxi. 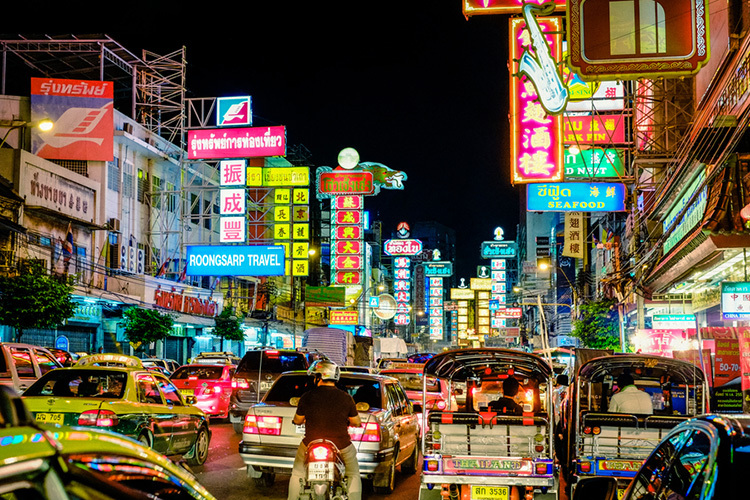 If you’re planning to visit Bangkok, get ready for a city that never sleeps and something to offer for everyone! Phuket is a beach lover’s paradise as well as a party animals paradise. Whether you want to stay in the very crowded Patong and hit the famous Bangla Road to see some ladyboys or take a day trip to another island, the choices are truly endless. With zoos, shooting ranges, water parks and Jet Ski rentals at nearly every beach, Phuket is also a great destination for a family vacation. 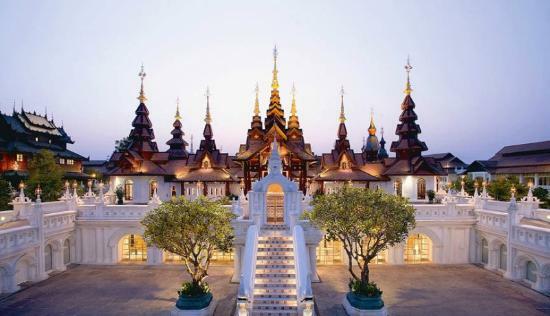 If Bangkok and Phuket were just a little too much for you, you may want to head up north to Chiang Mai. With a much slower pace and relaxed atmosphere, it’s a great place to simply relax and see what the city has to offer. Rent a motorbike and explore the magnificent temples during the day and then head to the night markets and pick up a pair of samurai pants that you’ll guaranteed never want to take off. Chiang Mai is also known for their great elephant nature camps where you can swim and bathe with elephants for two days! As you can see, the wide range of things to do and places to see in Thailand is something that makes it so incredible. Anywhere you end up is sure to not only be your new favorite spot but somewhere you will want to keep coming back to for years to come. The City of Light, Paris, is not always easy to handle. You may fall in love with it in an instant but it takes you a good while to learn loving it. It is like any relationship, after the ecstatic first weeks comes the everyday life and its cons. 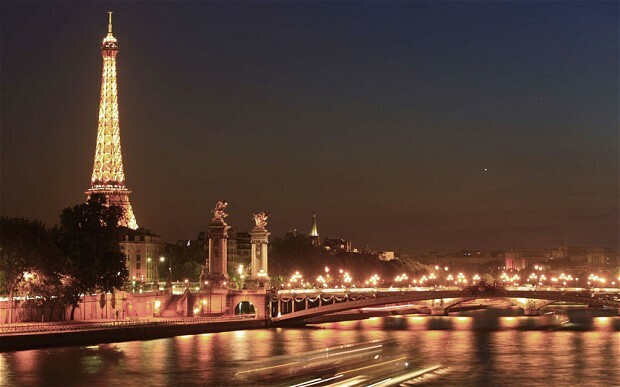 The first seven days in Paris are a feast for all senses: baguettes, garçons, boulevards, Notre Dame, Tour Eiffel, Palais Royal, croissants, cinéma, hôtels particuliers, crêpes, Camembert, jardins, Renoir, bateaux-mouches, Edith Piaf. And all this crusted with the posh French nasal sounds which makes you think you are in heaven. It is like a fairytale till the moment you start to live here. Then you have to get serious, to settle down as they say. You start getting attached: you open a bank account, you get all those cards for metro, libraries and museums, you find your favourite supermarket and the staff start to recognise you. Now you discover all those small things that drive you crazy: The thing is, in Paris you don’t just go and buy a monthly metro ticket or open a bank account. You honestly need at least half a dozen of certificates about your identity, logging, student status etc. Then you fill out a form and post it to some excluded office with a zip code you cannot locate in the outskirts of Ile de France. 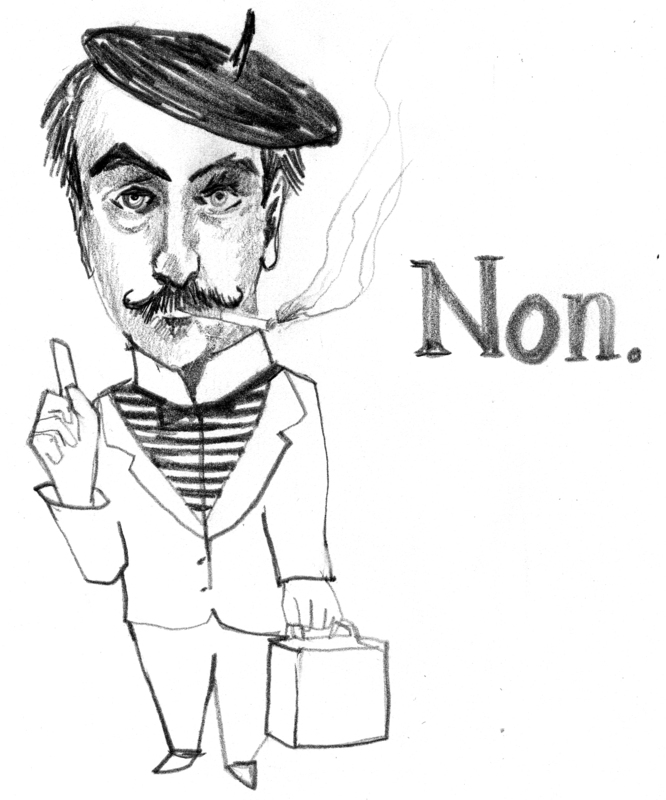 Then you wait for a month because nothing is as long and wearing as French bureaucracy, well, except for the Italian. Mysterious corridors, delicious cheese cake in Kazimierz and green bike routes. Having visited all the must sees in Krakow, it’s time to taste this very European city from within. We can get all necessary information about Krakow’s traditional top places to see from the information points. Here you have some tips for visiting interesting places in that southern Polish city that are rarely mentioned in guides. “Incredible in Krakow are some paths in the centre of the city overgrown with grass. Lots of people, even those living in Krakow, have no bloody idea about them. There is one, totally overgrown and green. It’s got a green bump made of stones in the middle.” says Piotr Lewicki, architect. No matter if you are either Erasmus student in Krakow or three-day visitor, Kazimierz – the old Jewish district – is a must see. Beginning the day with perfect latte and delicious cheesecake at Alchemia, would be a good start to the scratched and gloomy, but extremely fashionable, artistic and vibrant district. It is here where Krakow’s bohemia meets. Nearby Alchemia you’ll find an incredible café called Les Coloures, wallpapered with posters from French movies and musicals. But the best time to go to Nowy Square is on Saturday morning. You will be amused by a market smelling of fresh fruits, vegetables and old books. From there it’s not far to the picturesque Podgórze, another interesting district, with an architectonic ally intriguing church and a mysterious mound. It’s here to say that in Kraków there are four peculiar hills, mainly prehistoric and artificially made, some of them even by the Celts. 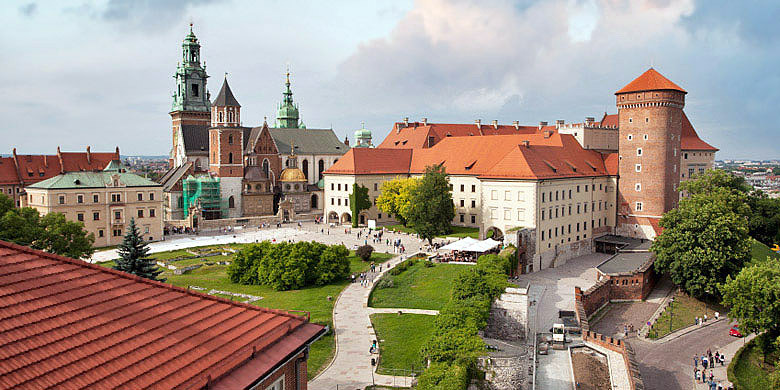 If you want to have a perfect overview of Krakow – those are the best places. It was time to move. I mean, everything was fine with my university, with Padua, with Italy, with my friends. But sometimes you feel that something is missing. I missed Europe. Of course there was news about the European Union on TV and politicians gave big speeches on European citizenship, editorials on the role of the EU in Italy’s economy. We knew that Brussels offered us economical agreements, but aside from that, what does the average Italian student know about Europe? Europe is missing in their fixed paths: doing exams, getting a bachelor and then looking for a job (preferably nearby home). This was not enough for me. I had to take my chance. I landed in Seville, southern Spain, full of expectations. One has to have big expectations when he is 23 years old, no? And I was going to have the best trip of my life, a trip with the Erasmus space shuttle. A shuttle that offers you the possibility to get lost. Getting lost geographically and getting lost mentally. To rethink the goals you have set for your life, what you think is important, to open your mind. Briefly: the best way to grow up. The first words I learned in Andalusia were corridor, apartment, rent, classroom and of course beer. Beer is the bond between students all over the world, it makes you feel at ease and friendly with mates. And beer was cheap in Spain, so we did a lot of bonding. Walking through Seville there are some ‘must-have-seen’ locations: the cathedral, built on a mosque (peculiar architectural mix!) and La Giralda, the tower, originally a minaret. Then visit the Alcazar (the old Moorish palace) and its wonderful gardens. Have a walk along the river Guadalquivir and stop by La Torre del Oro, built by the Almohad dynasty as watchtower. Have a relaxing terrace at Plaza de España. 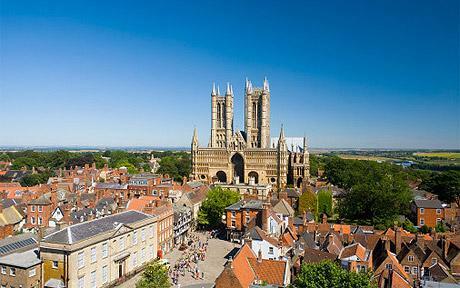 Unknown Lincoln has much to offer: the Cathedral of the Da Vinci Code movie, a copy of the Magna Carta, a first class journalism university and it has been voted one of the cheapest cities to live in England. Pack your bags! Traditionally Lincoln is seen as a historical city, quiet but full of the quaint English charms tourists seem to love. 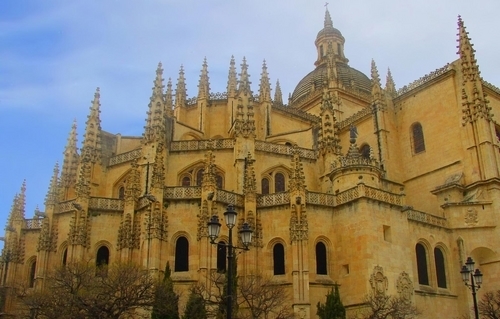 We have a magnificent Cathedral, one that has been used in many films – including the Da Vinci Code. Lincoln Castle, although now much of a ruin has another talking point, it houses one of the rare copies of the Magna Carta. With a City as old as Lincoln (you can find it in the Doomsday book) there’s bound to be talks of ghosts and ghouls, indeed, we have three ghosts walking every week around the historical quarter. To bring the City up to date we have some fabulous shops and restaurants amongst all the gorgeous architecture. 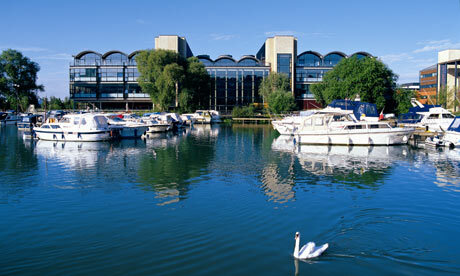 My place of study also makes use of the older buildings, the University of Lincoln has won design awards for its use of restoring and modernising dated pieces. 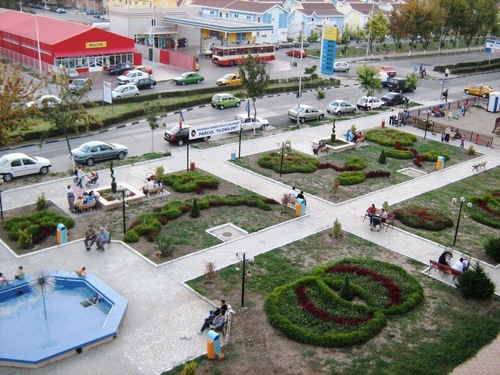 The University itself is very young, it was built in 1996 after locals decided to raise some of the sponsorship. They felt that their city was lacking something. In fact, when the famous Oxford University was conceived, the monks couldn’t decide where to put their new place of study – Lincoln or Oxford? Of course it was Oxford that was chosen but you could say that Lincoln had been without a University for thousands of years. The population of Lincolnshire is considered quite diverse. Since the EU paved the way thousands of Polish, Lithuanians and Romanians have flocked to the region because of its high agriculture. For some it was difficult to integrate but over the last three years societies and clubs have been set up to make the process of moving in to Lincoln as smooth as possible. At my radio station we have been working with the Polish for over a year and they now have their own monthly show. Broadcasting in English and Polish it reaches far into the community and is considered a success. But what of the nightlife I hear you ask? Well Lincoln is populated with many bars, it would take you a good weekend to get round them all, and we have the Engine Shed when we want a club night out. The venue is also famous for the bands it brings to the City, in the last year we have had The Zutons, Babyshambles, Dirty Pretty Things, Stereophonics, Ian Brown and the Deftones to name a few. But don’t worry if your pockets feel a little light, Lincoln was voted the second cheapest city to live in England. So if you ever find yourself in the East Midlands, make sure you give Lincoln a visit. For more than twenty years, the destiny of Călăraşi has inevitably been connected to the Siderurgical enterprises, its evolution was entirely connected to the evolution of the factory. But then disaster struck Călăraşi: the factory went bankrupt. At the end of the ’70s, Ceauşescu wanted to build a big factory near Bucharest. His idea was to bring iron ore down the Danube (because this was the cheapest method) and produce steel. The real construction began in 1978 and eight years later the first section (the coke and chemical one) was ready for production. A few years later other sections were ready too: the electric steel factory, the rolling mill for medium profiles, the deposit for raw material and the section for enriching the iron ore. Many specialists from the most important factories (from Reşiţa, Galaţi and Hunedoara) and diligent workers from Moldavo came to visit Călăraşi, in those days. All of them got a house in the most prosperous neighbourhood in town, which was named (as if there was no alternative) “2 Moldavians”. The older teachers remember that students from the Industrial School who worked at the Siderurgical Enterprises had higher salaries than the teaching staff and that “nobody would breathe a word in front of them”. “Romans and moors, quiet Córdoba”, wrote the poet Manuel Machado to describe the city where I was born. Walking along the streets and alleys is encountering history. Cordoba was built by Romans, Arabs, the Jewish and Christians, so it is a real mixture of cultures. People as Séneca, Averroes or Luis de Góngora were born here. Córdoba is situated in the center of Andalucía in the south of Spain. 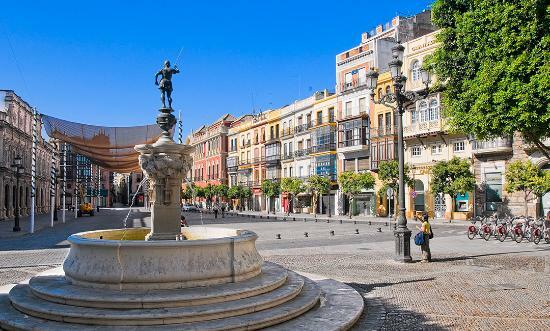 The city has an excellent geographic location and is easy to reach from Sevilla, Málaga or Madrid thanks to the AVE (Spanish high speed train). 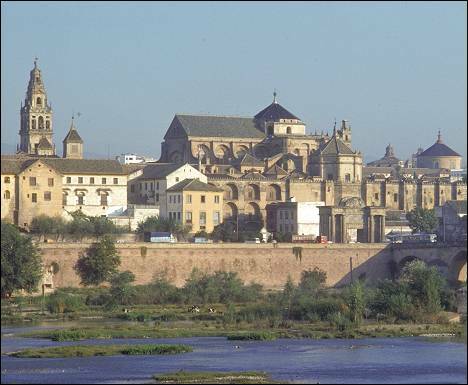 Córdoba is a monumental city and is considered a World Heritage place. Let´s go to the river Guadalquivir to start our discovery of this charming town. The most important monument of Cordoba is the Mosque Cathedral, which is considered the most important Islamic monument in Western Europe. Today it is a Christian temple. Get lost in the labyrinth of archs and columns and smell the orange blossom in the Patio. Near the Mosque you can find the Christian Kings Fortress, a big palace which was built on the remains of an old Muslim castle. You will discover large mosaics and the royal baths. The most interesting aspect of the Alcázar are the wonderful gardens, made up of extensive cisterns where, during spring, you can see the beautiful water lily. 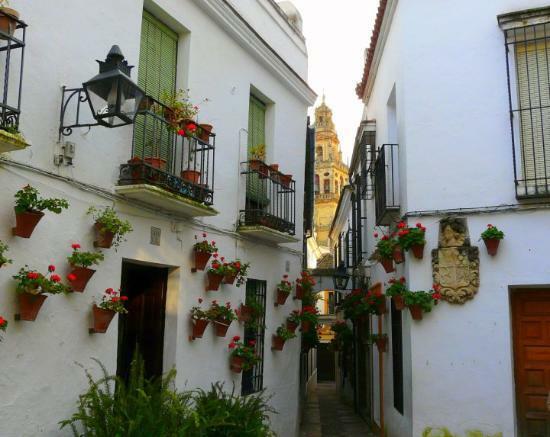 One of my favourite places is La Calleja de las Flores (The Flowers Alley), a hidden place which is just oozing charm. 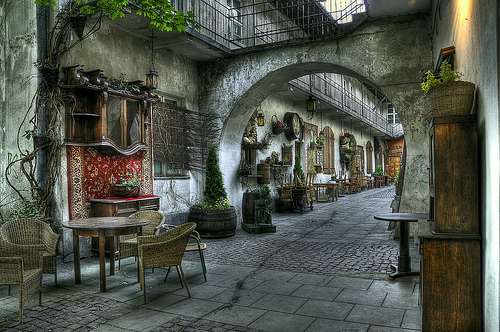 A narrow passageway with arches and stones ends in a square with geraniums and carnations. It´s a great place to visit with your boy- or girlfriend, as it offers one of the most romantic views of the Mosque. There are many ways to learn to drive. Many people choose to have a parent, friend or family member teach them, because it is cheaper, for example. Some people do not have a willing person to help them or they feel they need professional guidance alongside help from a friend or family member. Then they have to make a decision as to who to go to for this help. One choice open to people is the intensive driving course. These give you lessons in a block, close together so that you have a lot of lessons in quick succession. There are a few companies that offer this sort of course such as http://intensivedrivingcourses-bennetts.co.uk/. They operate in many places across the UK and you are able to get help from Bennetts, both with the practical side of driving as well as the theory test, which is also a big aspect of learning to drive and not often a part of driving lessons these days.